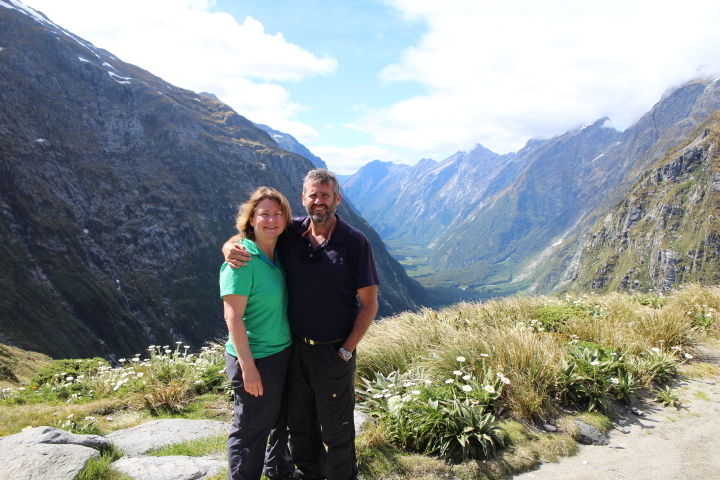 Four Feet Walking are Michelle and Rob from Perth, Western Australia. This blog contains some of our adventures. We are currently in and around Europe but will be back in Australia and New Zealand next year. A lawyer and a scientist we have spent enough time at desk and bench and have decided to indulge our enthusiasm for travel, the outdoors and especially travel in the outdoors. We may be travelling the world feet first and this is primarily a walking-hiking-tramping blog but we are not averse to the use of planes, trains, buses, four wheel drives, or other modes of transport to get us to our starting point or bikes and kayaks to take us to the end. We prefer to carry our own kit and camp, we enjoy tents and mountain huts. We are keen to have a good time not necessarily a hard time. We want to enjoy the coffee, the cake and other local delicacies along the way. If the hike or tramp involves a fishing rod and catching a few delicacies that suits us perfectly as well. Hi Michelle, My Great Grandmother was Rosina New (Oakes).